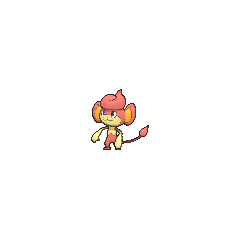 Pansear in game: 7,911 Who? Important notice! 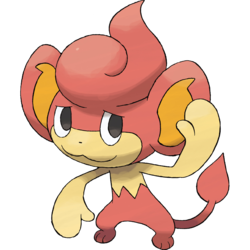 Pokemon Pansear is a fictional character of humans. Pansear (Japanese: ???? 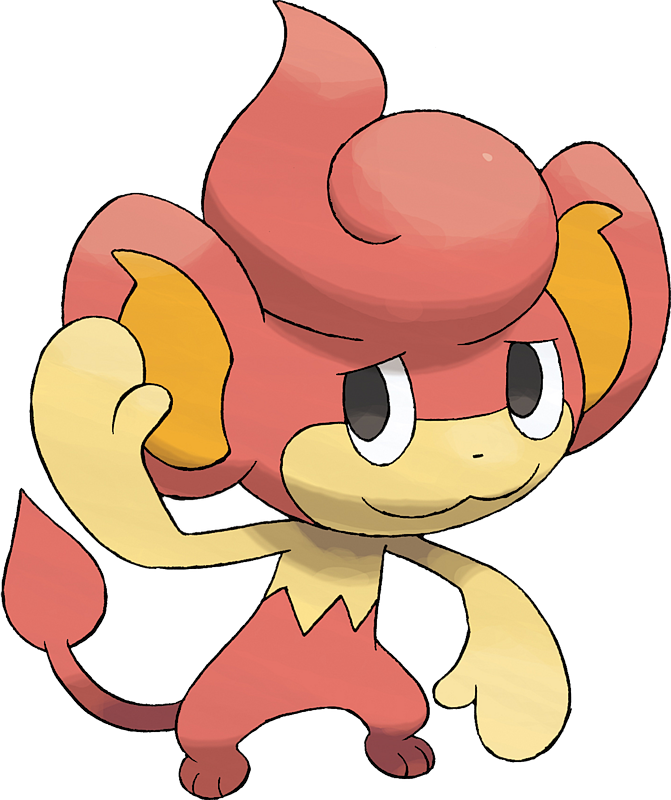 Baoppu) is a Fire-type Pokémon introduced in Generation V.
Pansear is one of three elemental monkeys. The other two are the Grass-type Pansage and the Water-typePanpour. A Pansear appeared in Triple Leaders, Team Threats! under the ownership of Chili, along with Panpour, and Pansage, owned by Cress and Cilan, respectively. It battled against Ash's Tepig and lost. In A Venipede Stampede!, a Pokémon Trainer in Castelia City used a Pansear to try to stop a swarm of Venipede. Pansear was seen in Iris's flashback in Iris and Excadrill Against the Dragon Buster!. It was one of her many Pokémon friends as a little girl back in the Village of Dragons. Pansear has made cameo appearances in Cilan Takes Flight! and Climbing the Tower of Success!. A Trainer's Pansear appeared in Summer of Discovery!, Foggy Pokémon Orienteering! and even in a fantasy in Battling Into the Hall of Fame!. 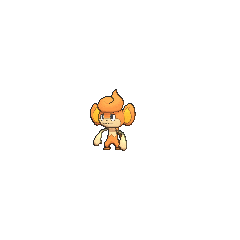 A Pansear appeared in Party Dancecapades!, under the ownership of a Pokémon Performer attending Monsieur Pierre's dance party. 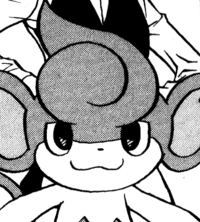 In the Pocket Monsters BW manga, Chili uses a Pansear against Red's Clefairy in Battle at the Handsome Restaurant!? when he tries to instigate a fight between Chili and his brothers Cilan and Cress. The three brothers use their Pokémon against Clefairy, however, their group attack backfires when Clefairy uses the effects of Pansear, Panpour and Pansage's attacks to make green tea. Pansear made its debut in Pokémon Adventures as a short cameo in A Nickname for Tepig alongside Chili. It later appeared in Welcome To Striaton City!! where it prepared tea for Black, Cheren, and Bianca alongside its fellow elemental monkeys. In Their First Gym Battle it battled against Cheren's Snivy and won, but was later knocked out by Bianca's Oshawott. Baoppu may be a combination of ? bào (Chinese for burst/explode), ?—?? basuto (burst), and ape. Mandarin Chinese ??? Bàoxianghóu From ?? bàoxiang and ? hóu.